Lie-Nielsen makes some really sweet products, and of course I covet them. Their Router Planes are no exception: extremely high quality and well thought out. 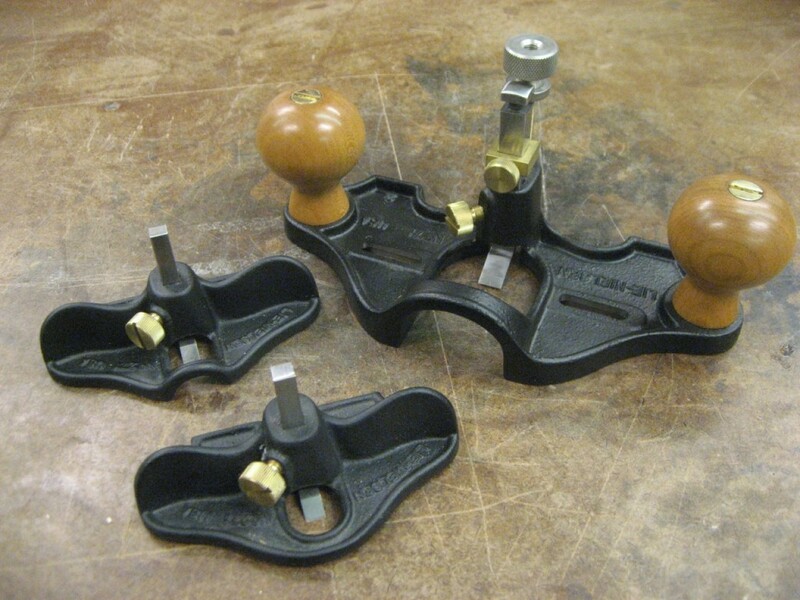 Router planes are in a class called “joinery planes” that help create and define joints in your woodworking projects. The router plane excels at making perfect flat-bottom grooves, dados, mortises, inlay, tenon cheeks, etc. Whenever you want a recessed area relative to a surface, the router plane’s blade helps make it perfectly flat for tight-fitting joint. 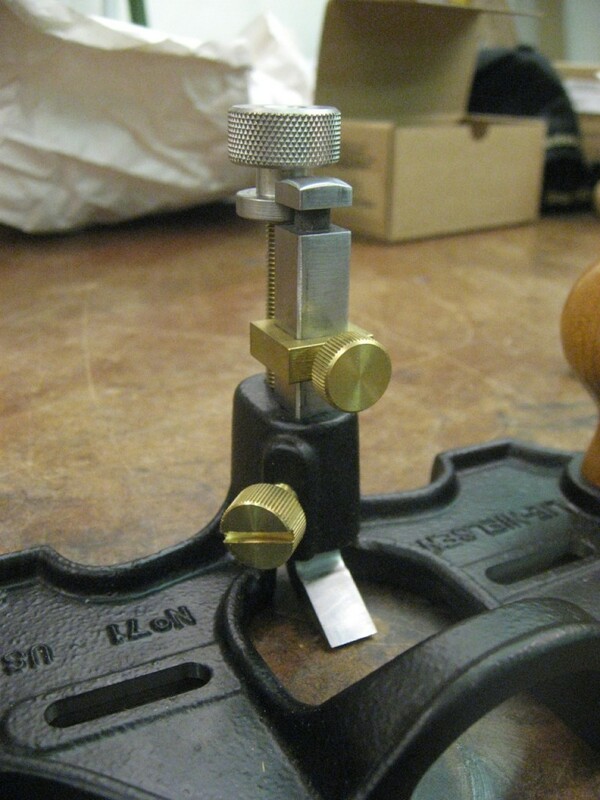 The small router plane is very straightforward – which I like. Just a flat reference surface (the bottom of the plane), a sharp blade and way to hold it in place (the adjuster screw). It’s a perfect size for small work: hinge recesses, inlay, or small work pieces or projects. It comes in two version: open throat (left) and closed throat (right). I used it to quickly create a perfectly flat bottom hinge mortise – so that my hinge will seat correctly and be flush to the stile. The blade came very sharp from Lie-Nielsen, I just polished it on an 8000 grit stone. The open throat in theory allows you to see ahead of your work more clearly than the closed throat. However, in this small version I found it made no practical difference since you’re working in a very small area to begin with. The closed throat has the advantage of more reference surface and therefore I recommend going with that version. It can be somewhat finicky to adjust the blade depth on the small router plane. As Lee Laird points out in his post, you can hand-tighten the adjuster screw and then use a small hammer to tap lightly into place. Or, use shims under the plane and drop the blade to the reference surface. In either case definitely make sure to tighten the adjuster screw with a screwdriver before use – I found hand-tightening alone to be insufficient to hold it in place. The large router plane does the exact same thing as the small, but on larger work pieces and joints. It also has a few more parts to help the plane work easily including a depth adjuster and depth stop – details that just wouldn’t fit on the smaller plane. The depth adjuster is very welcome after playing with the small router plane. And the depth stop is useful for working to a desired depth and keeping the setting for multiple workpieces. Of course, cleaning out a dado or groove is really straightforward with this router. But I really love cleaning up tenon cheeks with it – check out the video to see how! The large plane also comes in a closed or open throat format. In this case, I like the open throat since it does offer more view of the work piece and that outweighs any small gains on an increased reference surface. The surface to the left and right of the blade is large enough and I don’t find myself typically without plenty of support for the plane. 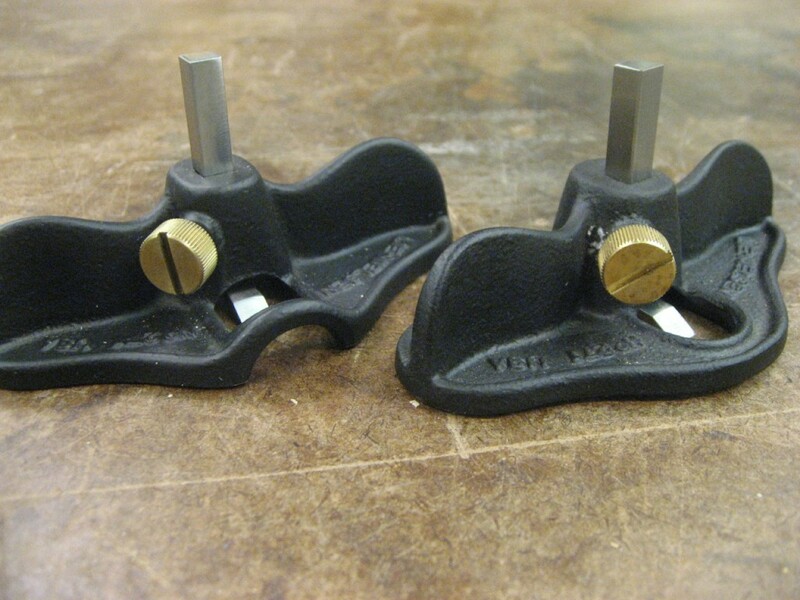 Both of these router planes are very useful in a shop. They really do help you get tight joints that are difficult right off of machines. I typically pull them out for a few strokes after doing the bulk of wood removal with my machines – making for joints that’ll last forever.